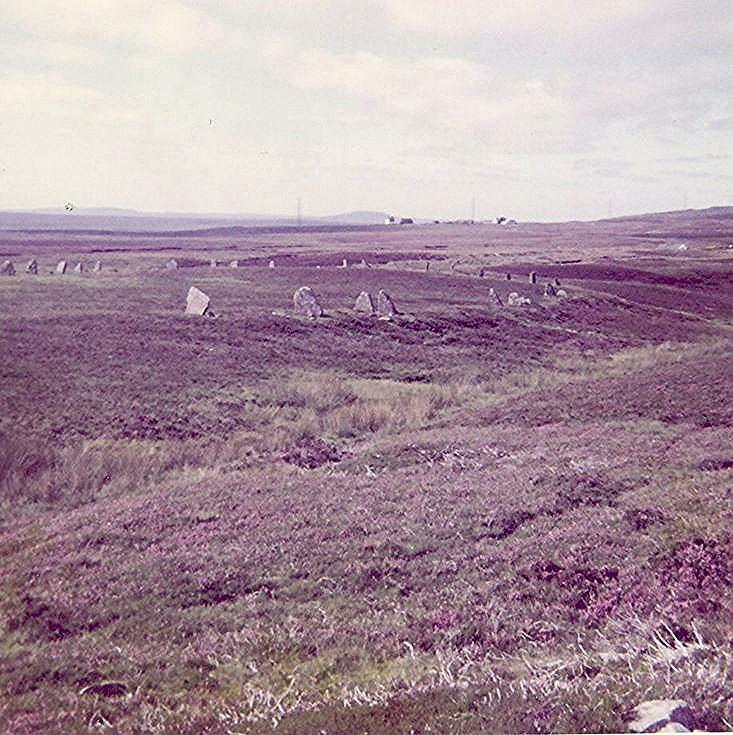 Colour photograph, from the album of Miss E. Mackay BA., and Miss J. Joyce BA., believed to be of a stone circle at Achavanich. There is some confusion over labelling in the album ~ running along the side, the label reads "Stone Circle, Aberscross", but to the bottom right, a label states "Achavanich III. Horse-shoe shape and Loch Sternster" As the photo is the same as the previous two Achavanich photos, it is believed this is also of Achavanich.